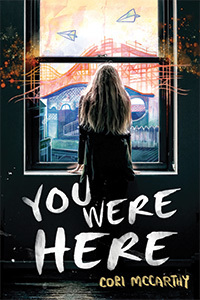 The Teen Scene at Rogers Public Library has in its collection several books that straddle the line between novel and art. 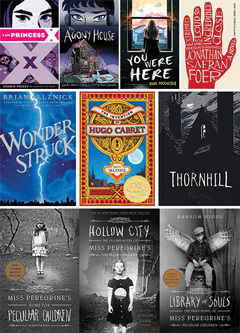 Some highly illustrated, some with actual snippets of graphic novel included, these hybrids provide a fun way of trying out other genres while still enjoying your old favorites. Cherie Priest has 2 novels out in the hybrid strain. Both use comic strip elements as an integral part of the story, not simply as illustration. 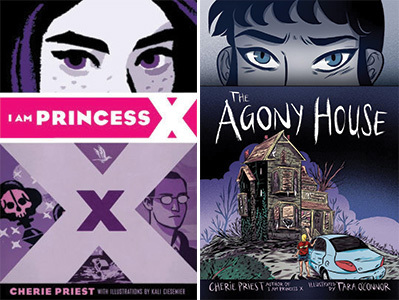 I am Princess X is an atmospheric mystery in which one half of a duo of comic strip creators must discover what lies beneath the death of her best friend with Princess X, their creation, as her guide. A comic book found in the depths of a dilapidated haunted house comes alive on the pages of The Agony House, Priest’s newest book. Mystery and murder share the center spotlight with the challenges of rebuilding and gentrification in post-Katrina New Orleans in this creepy, suspenseful novel. You Were Here, Cori McCarthy. Exploration—urbex, emotion, personal identity, the past, the future—fuels this coming-of-age story. McCarthy employs unique voices for each of the 5 POV characters. Two of the narrators speak in visual forms: Mik through graphic novel and Bishop through street art. If you enjoyed Brian Selznick’s Wonderstruck and The Invention of Hugo Cabret, Pam Smy’s Thornhill may interest you. The novel is heavily illustrated with full-page black-and-white art that intensifies its dark atmospheric tone and gives voice to the selective mute narrator. The text mixes ghostly horror and mystery in a diary format that is engaging and easy to read. Check it out to see how the dual storylines—one told in picture, one in text—converge in this creepy ghost story. 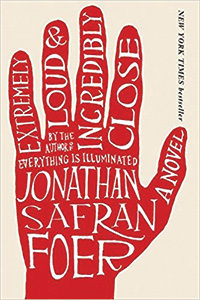 Extremely Loud and Incredibly Close, by Jonathan Safran Foer, an adult book for young adults, also crosses the boundary between novel and graphic novel. In a manner similar to Ransom Riggs’ Miss Peregrine’s Peculiar Children series, Foer uses visual artifacts (photos, drawings, typography) to illustrate not only the story, but the mind of the 9-year-old protagonist. This complex and moving book follows Oskar Schell on his quest to find a missing lock, and possibly to discover the secret to recovery when that which is lost is irreplaceable.